It is highly likely that you have a profile on at least one social network. You probably have a profile on at least one of Facebook, LinkedIn or Google+. You may also have a Twitter account and maybe an account with Instagram. Indeed, most people have more than one social network profile. But there is a world of difference between having a social network profile and using that social network. Most of the hands go down; often, nobody in the room has actually “used” LinkedIn. They are there just as passengers on the network, not taking any kind of active part – and wondering at the same time what the point of their LinkedIn profile is. Now, a new study of the usage of Google+ has found similar – shocking – results. According to the research, there are 2.2bn Google+ accounts but only around 5m of these are active, posting information that isn’t just a comment on a YouTube video. 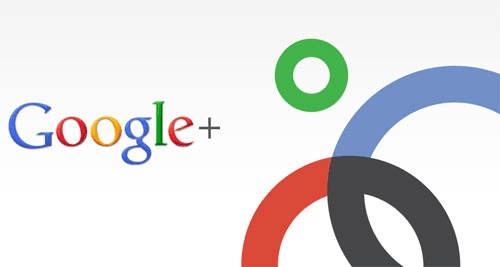 In other words 99.8% of people on Google+ are NOT using it. That tallies with my ad-hoc measurement of people using LinkedIn – the vast majority of people simply have a profile and do nothing with it. The social networks themselves can point to billions of people who have an account. But having an account and using it are not the same thing. Businesses are still trying to understand how they can use social networks to increase sales and profits. The problem would appear to be that these businesses seem to think that all you have to do is create a profile and customers will come running to you. Like most other things in business you get as much out of something as you put in. If all you put in to your social network is your profile, that’s all you will get out. If you want to make the most of Google+ or LinkedIn you have to put more in. It means adding to the network on a regular basis, taking part in conversations and engaging with people. If you do that, you will get sales and new business leads. If you don’t do that you may as well go down to the corner of your street and whistle into the wind. It will do you as much good as simply having a profile on a social network. What are the top websites viewed in-flight? Low cost airline Norwegian, which offers passengers free on-board WiFi, has revealed the favourite websites and mile-high surfing habits of UK passengers.